Anita Kelling (Sound Design) is excited to be back with Theatre Unbound for this production of Mere Trifles. 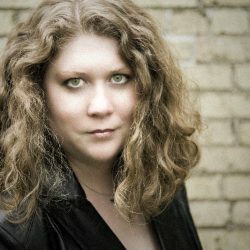 Locally, she has designed for Park Square Theatre, Yellow Tree Theatre, Walking Shadow Theatre Company, the Minnesota Jewish Theatre, Freshwater Theatre, Public Theatre of Minnesota, Theatre in the Round, 20% Theatre Company, The Sabes JCC Theatre, Chameleon Theatre Circle, SteppingStone Theatre, and COLLIDE Theatrical Dance Company. Anita holds a BA in Theatre Arts from the University of Minnesota.